Every photographer knows how important it is to make the models look perfect in the pictures. This is why Adobe Photoshop used to be photographers' best friend for a long time. 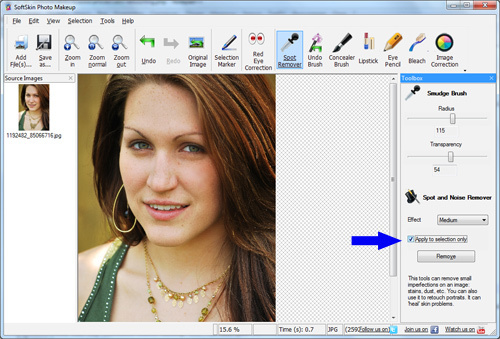 But now SoftOrbits is happy to introduce a brand new photo makeover tool - SoftSkin Photo Makeup! It is very easy to use and yet guarantees high-quality results! Apply virtual makeup and more. We are happy to share some photo makeup tips with you, so that your photos become perfect! 1. Ideal skin is always beautiful. With SoftSkin Photo Makeup, you can improve skin texture and tone automatically or manually. 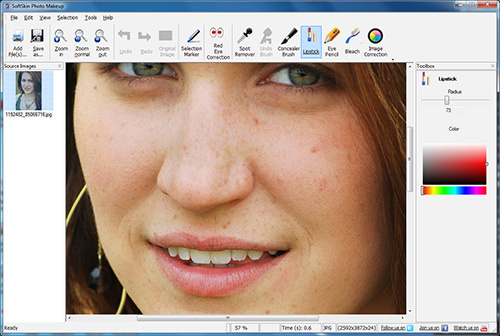 To automatically improve skin, select the skin area with Marker tool. Use the Spot Remover automatic tool to remove spots and other skin defects from the selected area. Check the "Apply to selection only" check box. To manually improve skin, use Spot remover (Smudge) tool. Select this tool and draw over skin to remove defects. It works like a powder. 2. Bright eyes and lips make models prettier. With SoftSkin Photo Makeup, you can apply virtual makeup to make models more attractive. To outline the eyes, use Eye Pencil tool. To add color to the lips, use Lipstick tool. You may try SoftSkin Photo Makeup!